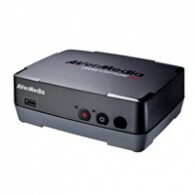 The AVerMedia C281 Game Capture HD device uses a component connection (Y-Pb-Pr) to record gameplay and provide a passthrough connection to a TV, as such, it’s incompatible with the PS4, which uses HDMI only. However, it is possible to convert the HDMI signal from the PS4 to work with AVerMedia C281. You can stream videos, music, pictures, online videos, and more using Orb. You do not have to install anything on your PS3 to stream files. How do I access the PlayStation 3 Recovery Menu? We’ve received many emails and YouTube comment about how to access the PS3 recovery menu, so we though we would write up a detailed walk-through to help you out. The PS3 recovery menu is available on firmware 2.50+ and allows you to preform various operations on your PS3, including restore factory settings and reinstall firmware. You can read our original coverage on the PS3 Recovery Menu (including video) too. Having trouble installing games downloaded from the PlayStation Store? Check out the video tutorial below for some help.